Rich Barth’s diverse background has enabled him to develop an impressive combination of leadership, transactional and technical capabilities. Prior to joining Vantage Point Advisors, Inc., Mr. Barth was the head of a valuation practice at a boutique investment bank where he directed all aspects of the firm’s valuation activities. Since completing business school, Mr. Barth has compiled over 20 years of international investment banking and valuation experience at firms including Goldman Sachs, HSBC Securities and Houlihan Lokey. During his career Mr. Barth has worked in Singapore, Canada, the United Kingdom and Southern California and has managed and executed a variety of engagements involving complex business and securities valuations including ESOPs, fairness opinions, financings, litigation, mergers and acquisitions, tax and financial reporting and strategic alternatives. He has experience in a variety of industries including aerospace and defense, business services, energy and mining, entertainment and media, healthcare, manufacturing, real estate, retailing and technology. As a research analyst, Mr. Barth published over 100 reports covering over 20 companies in the real estate, printing and publishing, advertising and media and entertainment industries. 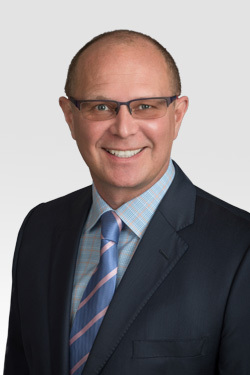 Mr. Barth’s advisory clients benefit from his unique combination of capital raising, transaction and business valuation expertise. During his career, he has valued hundreds of businesses with equity values exceeding $50 billion and has negotiated and structured both public and private equity and debt financings, personally raising over $250 million in transactions exceeding $3 billion. Mr. Barth was raised in New York and Canada and holds an MBA from Canada’s leading business school, The Richard Ivey School of Business at the University of Western Ontario. He also holds a Bachelor of Commerce from the University of British Columbia where he was president of Phi Gamma Delta. The North County Estate Planning Council- San Diego. How to Maximize the Value of Your Business and Achieve a Successful Transfer.